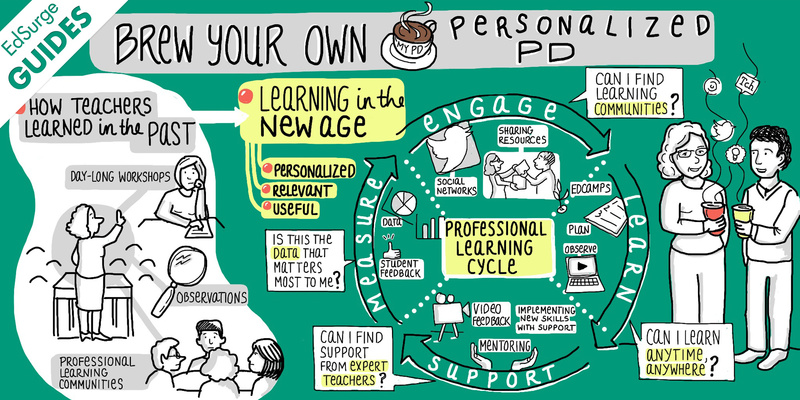 The ways that teachers engage in self-directed professional learning are myriad, and sometimes I think it can be a bit overwhelming to try and narrow one’s focus, particularly for those who, like me, suffer from a severe case of FOMO. I find myself wanting to do everything and learn everything! Of course, I know it’s impossible, but I’m still left with that nagging feeling that there’s so much more to know and learn. So what’s a girl to do? For me, committing to learning something new goes beyond simply attending a one-off workshop or webinar. I want to access related networks and information, implement and reflect on my professional learning with a community of educators. In the last month alone I’ve been active in chats with my Twitter PLN, interacting with teachers throughout the province using TeachOntario to discuss various platforms for creating student e-portfolios, participating in an online book club about the book, Creating Thinking Classrooms. I’ve also been taking part in ed. tech webinars offered as part of the OTF Connects series through the Ontario Teachers’ Federation and considering the professional learning and leadership implications for the integration of technology and 21st-century skills in education. Last week I also attended an evening session about design thinking in education offered by Future Design School. At a glance, this looks like a dizzying list of separate pursuits. I feel a bit overwhelmed myself, looking at it all laid out on screen. I have to admire my colleague Joe Romano for his focused approach to self-directed professional learning. In reflecting on my learning, however, I’ve realized that it’s not quite as scattered as it may seem. 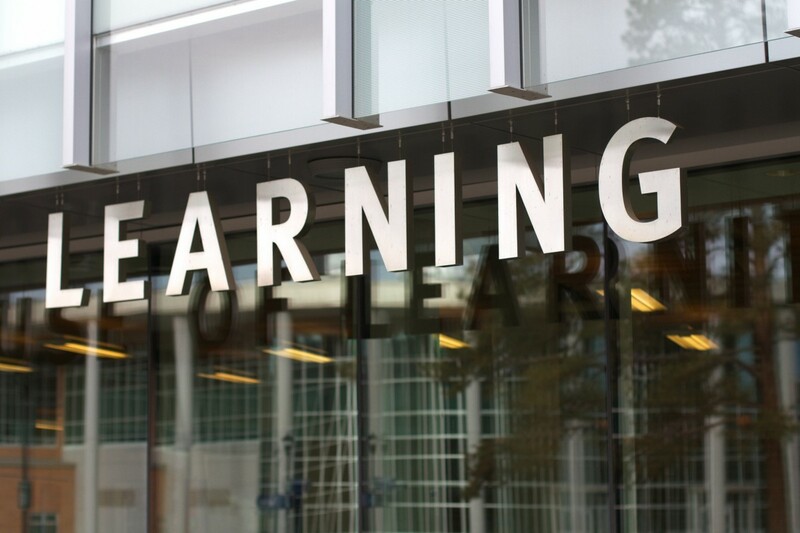 I think what I’m really after is to establish a better understanding of, and strategies for, providing students with opportunities for deep learning. So with a clearly identified focus, I’m going to attempt to be more judicious in handing out “yesses”, try to quell my FOMO and stay the course with this topic as a guide for my learning moving forward. First off, I have to say that the irony of completing of this “first” post on the subject of self-directed professional learning, exactly one year after promising myself that I would begin to reflect in writing as part of my own self-directed professional learning is absolutely not lost on me. Alas, here we are. Well into 2016, and I’m back with a renewed commitment to myself and my own learning. This school year, many of the teachers who I work with have reported that they’ve sought more opportunities than usual to focus their professional learning on self-directed pursuits. While work action and contract negotiations have contributed to fewer PD sessions offered by school boards, I’m not convinced that can be cited as the sole reason for the uptick in preference for self-directed professional learning. Much has been written on current trends in teacher professional learning, but I especially like how EdSurge has visually represented it. I’ve been hearing a lot of feedback from colleagues that they are finding engaging in self-directed professional learning and expanding their own networks to be particularly helpful in answering their questions and transforming their classroom practice to meet student needs as well as their own learning goals – more so than system-PD ever has. So what does this mean for me? I too wax poetic about the learning and satisfaction I get from so-called new-age, networked professional learning, so am I talking myself out of my own job as a professional learning leader in my district? I’ve been trying to digest it and think about how system- or Ministry PD fits into the equation. How do self-directed and system-led PD come together to form a professional learning picture that works for teachers?